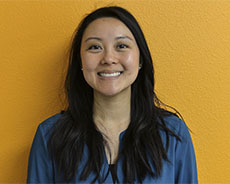 Dr. Nguyen is a licensed clinical psychologist who specializes in conducting comprehensive psychological evaluations and evidence-based psychotherapy with children and adolescents. She graduated with honors from the University of California, Davis with a BS in psychology. She then joined a research study at the UC Davis MIND Institute working toward identifying behavioral markers of Autism spectrum disorder. Dr. Nguyen attended the PGSP-Stanford PsyD Consortium where she obtained her MS and PsyD in clinical psychology. During graduate school, she received extensive training in conducting psychological assessments through the Stanford Division of Child and Adolescent Psychiatry. She completed an APA-accredited internship at the University of Miami/Jackson Health System where she continued her assessment training and worked therapeutically with children with acute and chronic medical conditions. She went on to become a Harvard Medical School fellow providing mental health services to medically hospitalized children at Boston Children’s Hospital. She specializes in conducting Cognitive Behavioral Therapy and individualizing treatment to each patient. She is dedicated to helping children build resilience to reach their full potentials. Nguyen, J., Thomson, K., Samsel, C., Ibeziako, P., & McKenna, K. (2017, April). Relationship between Medical Severity and Psychological Functioning in Pediatric Heart Transplant Patients. Poster presented at the Harvard Psychiatry Research Day and Mysell Lecture, Boston, MA.